Contrast masks are commonly used to adjust the tone of specific areas of a photograph. 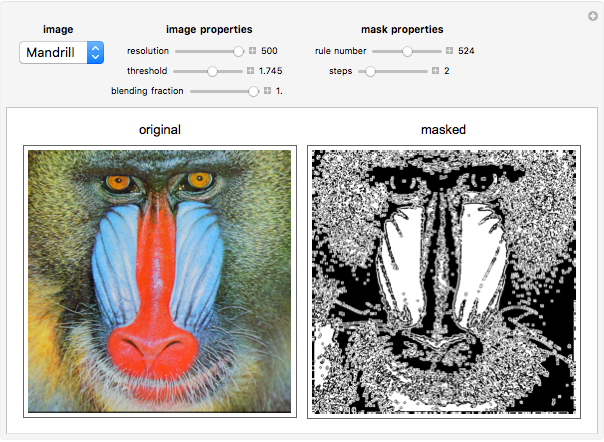 The mask in this Demonstration is generated by a two-dimensional cellular automaton using a binarized version of the photograph as initial condition. You can choose different resolutions and a different binarizing threshold. 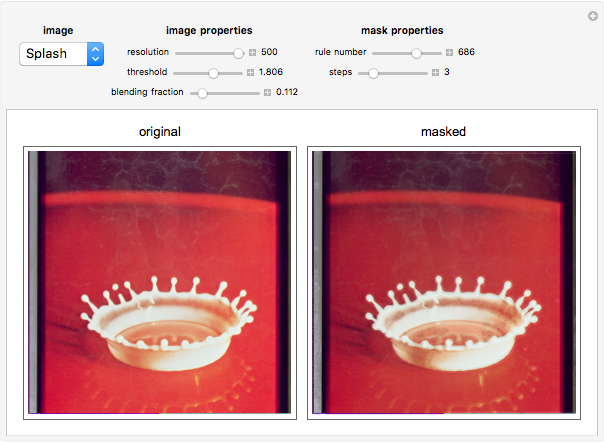 Different rules generate a variety of mask patterns. Increasing the steps makes the mask grow in size. The adjusted photograph is made by blending the original with the mask. Setting the blending fraction to 0 shows the original photograph. Setting the blending fraction to 1 shows the mask only. Snapshot 1 shows the mask used in the thumbnail. 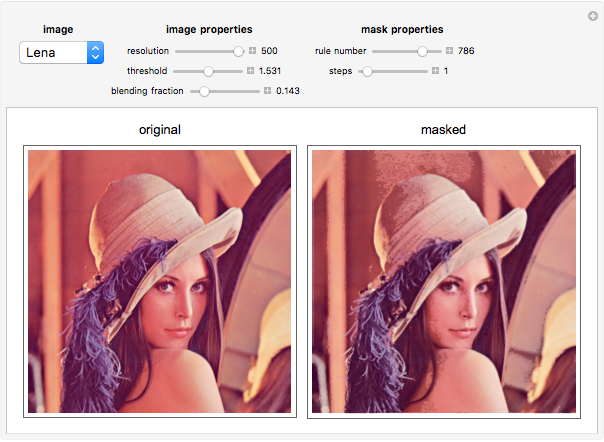 The other masks can be displayed by setting the blending fraction slider to 1. Erik Mahieu "Photographic Contrast Masks Using Cellular Automata"